8 November 2016 – Captain M.E. 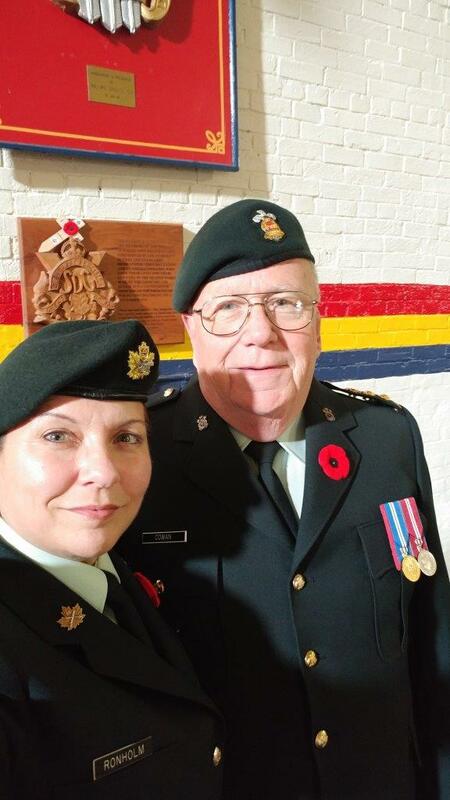 (Sam) Ronholm, C.D., a former P’Dub captured this “usie” with HCol John Scott Cowan just before the Remembrance Day Regimental Church Parade on Sunday, 6 November. This was the last occasion HCol Cowan will be wearing his DEU before stepping down from his appointment on 31 Dec 2016.